If you love fashion and want to find out more about your passion, The Fashionable Lampoon, which is considered to be something of a “fashion bible”, is a definite must-read. Launched in 2015, this vibrant quarterly magazine aims to showcase fashion in a new and unique light, by focusing on the industry of fashion, rather than the glitz and glamour that can be seen at the surface level. The Fashionable Lampoon reminds readers that behind the scenes, it takes a lot of hard work to keep fashion alive. The natural talent of the editor, Carlo Mazzoni, as well as his invaluable inspiration and in-depth research regarding aesthetics, all come together seamlessly in the magazine, and those who are lucky enough to get hold of a copy can expect to be inspired by its contents. Readers are sure to want to bring his vision to life, by way of adding their unique style to the host of innovative outfits being put together all around the globe by avid fashion lovers. Carlo Mazzoni, editor-in-chief at The Fashionable Lampoon. The certification label “Made in Italy” represents a level of handicraft and knowledge that the whole world envies. If you truly want to delve into fashion and its history, you cannot afford to ignore the Italian influence. Therefore, as soon as you land in Italy, or anywhere else in the world for that matter, make sure to find an edicola (a newsstand) and lay your hands on a copy of The Fashionable Lampoon! My Italian Link met with The Fashionable Lampoon’s editor-in-chief and creative director Carlo Mazzoni. 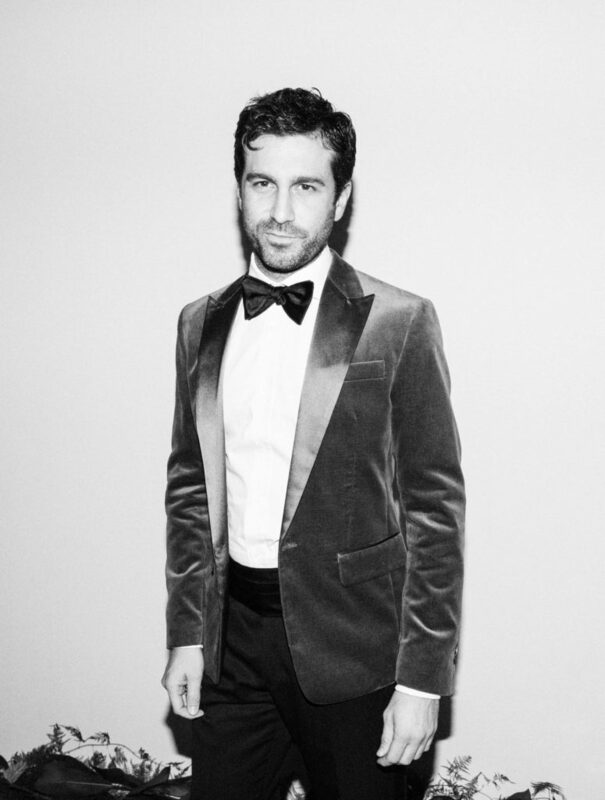 Man of many facets and talents, Mazzoni graduated with a degree in medicine and surgery from the University of Milan. He is an acclaimed novelist, songwriter and respected writer of opinion pieces, which is remarkable, considering he is only 37 years old! 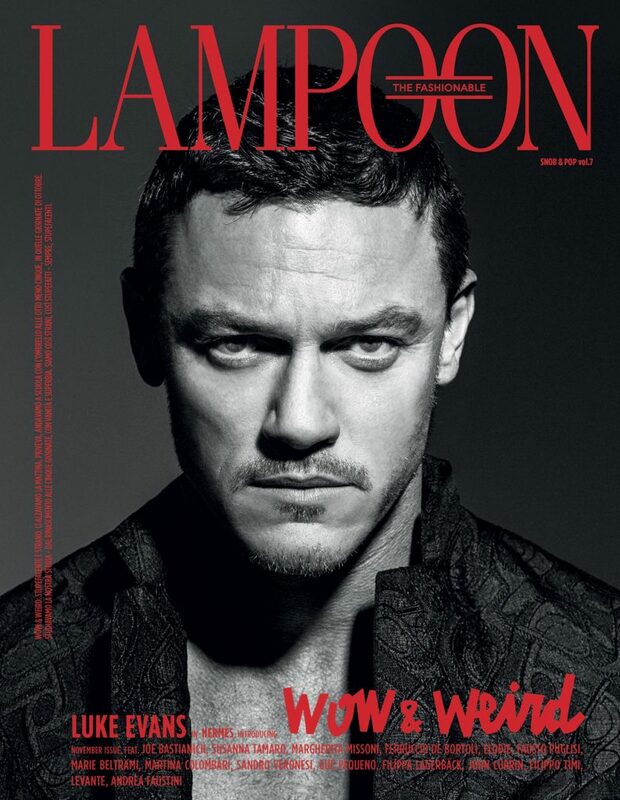 Cover of The Fashionable Lampoon #7 – Luke Evans. Could you explain the concept behind The Fashionable Lampoon? What makes it a “fashion bible”? The main idea of the magazine is to mix the high-end luxury codes with those that are more relatable to the common man – I mean, popular. We have a saying for that: “snob and pop”. Today, in Italy more than anywhere else, fashion is part of everybody’s life. Fashion represents the second income of the country, and it (hopefully) presents the best image of Italy to the world. 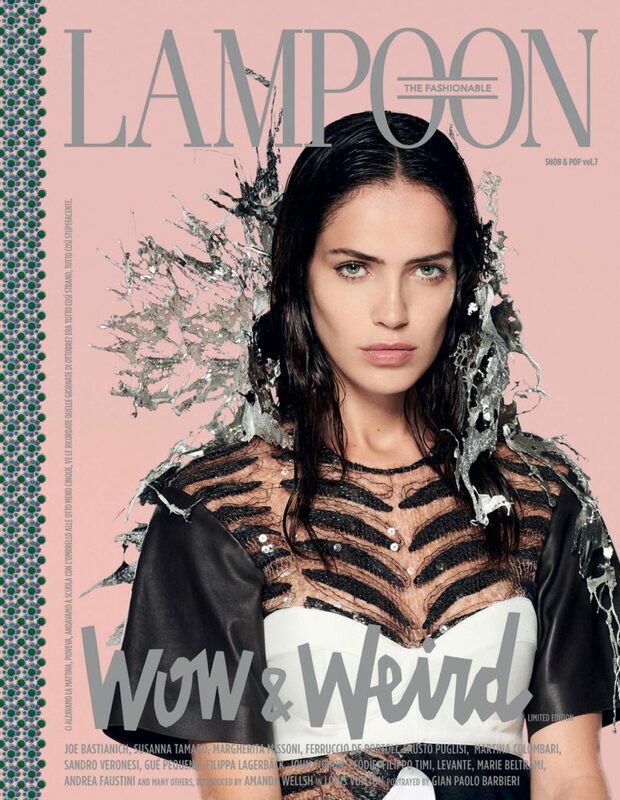 What is the message that you would like to convey to your readers through The Fashionable Lampoon? Fashion is not just about clothing or dresses. It’s an aesthetic subject. It’s about culture being available to the consumer. It’s an intellectual field whose output you can buy everywhere, at any price. Who is your magazine mainly targeted at? Curious people. I think the scariest enemy our contemporary society faces is ignorance. To face ignorance we don’t need to be erudite – we primarily need to be curious. Does The Fashionable Lampoon describe or report styles, or does it pioneer its own? In fashion publishing, many people are very confident about what they think is their own style, even when they are very young and at the beginning of their career. A magazine has to recount and to explain what the designers are doing, to find a common key of narration, and to present a point of view on contemporary aesthetics. A magazine is about chronicling. You create a magazine, when you are able to sense what is around you, and to explain what you feel to your audience, with words and images. What is the unknown value behind a designed dress or accessory? The quality, for sure. Italy’s supremacy stands with the craftsmanship only Italian workers can provide. French houses produce many of their products in Italy. Shoes, for example – every important fashion house commits to producing their shoes in Italy. What are the hottest new trends for 2017? For women we will be seeing patterns – embroidered colors, with many small details. Small graphics, small figures mixed together in hyper-precise patchworks to create a pattern. For men, smoothness and softness. Relaxed fits and indulgent textiles. Can you outline the typical profile of the ideal cover man/woman for The Fashionable Lampoon? Where can people find The Fashionable Lampoon? Give us three words to describe The Fashionable Lampoon in a nutshell? Smart, smooth, and sophisticated! Click here for more fashion articles and don’t miss out on our article about Zegna’s new ‘Defining Moments’ campaign!